Acacia Projects is a New Zealand-based charity (#CC54139), launched in April 2016, with a vision to see people immersed in the love of God. The name Acacia was taken from the Bible. The Ark of the Presence was a box made from Acacia wood and overlaid in gold. This speaks of God surrounding our fragile humanity with the gold of His love and making us a living Ark of His presence. This is our focus for the Body of Christ and all the projects we undertake serve this vision of all-encompassing love. Freeslaves.org redeems Christian families who are trapped in slavery in South Asia. We pay their debt, and work with local Christian fellowships to arrange accommodation and work for the families. Learn how you can change the world for an enslaved family. 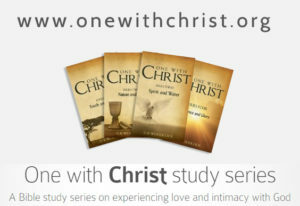 The One with Christ Bible studies are a series of short devotional studies, focused on bringing people into a real encounter with God. 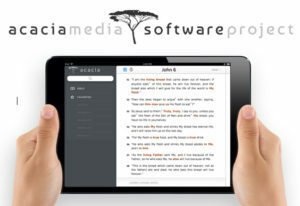 A proposed project for 2018-19, the Acacia Bible study software is a unique concept, designed to inspire a new love for the word of God. At the heart of the software is a focus on the greatest commands: to love God with all the heart and to love one another. Jesus said that all Scripture depends on these two commands, which means that we can only understand the Bible when we read it through a lens of love. Our vision is to create mobile software that equips people to read the Bible in its context of love, and inspires people to enter into the reality of wholehearted love for God. Click here to learn how you can help to make this a reality.